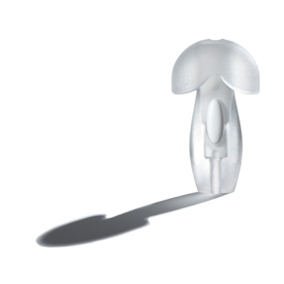 Insta-Putty silicone earplugs are described as "cushion soft" and are about the most comfortable earplugs you can buy. They repel water for swimming and showering and can also be used for snoring and loud music. One size is suitable for children and adults alike. NRR approx 22dB. Providing approx. 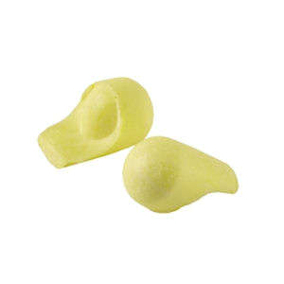 3-5 uses per pair, insta-putty earplugs seal the ear for effective protection from water and noise. 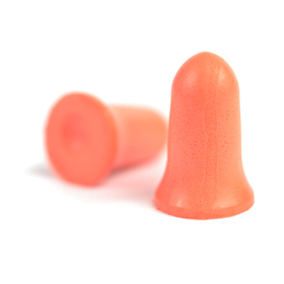 These earplugs are also excellent for sleeping and motorcycling. 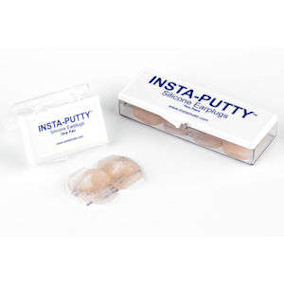 Insta-Putty is made of high-grade silicone that is hypoallergenic and non-toxic. Directions: Clean and dry the ear opening. Shape a single Insta-Putty earplugs into a ball. Place it firmly over the ear opening, then flatten with your finger until it feels secure. DO NOT PLACE INSIDE EAR CANAL. As with all silicone and wax earplugs, the very nature of the material means it is sticky. If it sticks to your ear, it will also stick to your hair. Do not be surprised if you find residue in your hair (especially people with long hair) from time to time. Remove it by rubbing the product gently between your fingers. Discard.